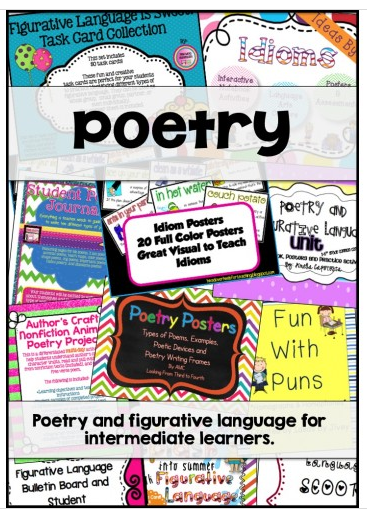 Pinkadots Elementary : April Blog Follower Only Freebie, 5 for Friday, & Poetry! 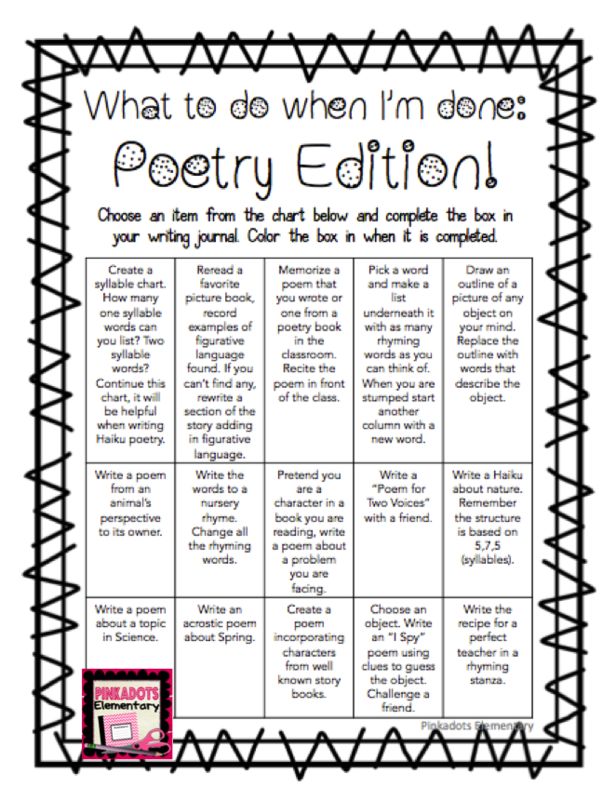 April Blog Follower Only Freebie, 5 for Friday, & Poetry! Hello Friday! Boy am I thrilled to see you! This was the LONGEST week EVER. 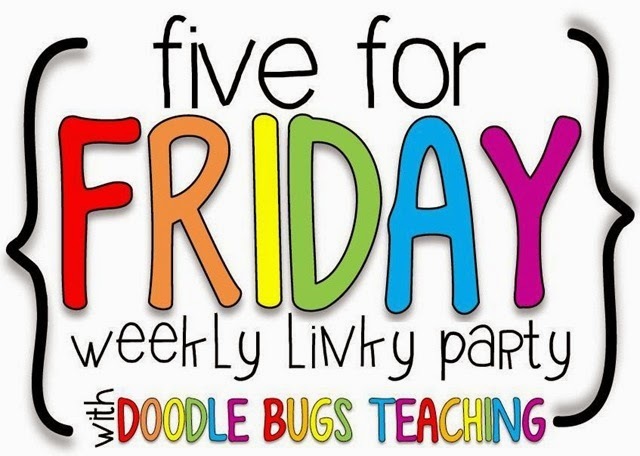 I am still excited to link up with Doodle Bugs for Five for Friday! I will try to keep this short! #1. Let's see...If you read my plans from a few days ago, you knew I had a busy week. Well, the blizzard missed us, but my kids and I were sick. I felt like I got hit by a truck and came home Tuesday morning early from school (with the kids) and was out Wednesday. Of course Wednesday night (when I finally started feeling better) my four year old decided her ears NOW hurt. My lovely husband (who is also a teacher) stayed home Thursday and took both kids to the doctor. They both had a double ear infection and sinus infection. My four year old also has the start of pink eye. Joy! So needless to say...we really need the weekend AND some nice weather so we can actually open windows around here! #2. Because of the above, I was struggling with sub plans. This made me want to FINALLY get my sub binder together. Over a year ago I ended up winning a blog giveaway and won Jivey's Editable Sub Binder, which I finally put to good use. I love the way it came out. It was super easy to fill in and printed out so perfect! I even included four days worth of activities/plans just in case I am out unexpectedly again. There is nothing worse than texting plans with a pounding headache after being up all night! Sorry to hear about the sickness sweeping through your home, friend! Hopefully this weekend will be relaxing and rejuvenating so you can hit the ground running next week!